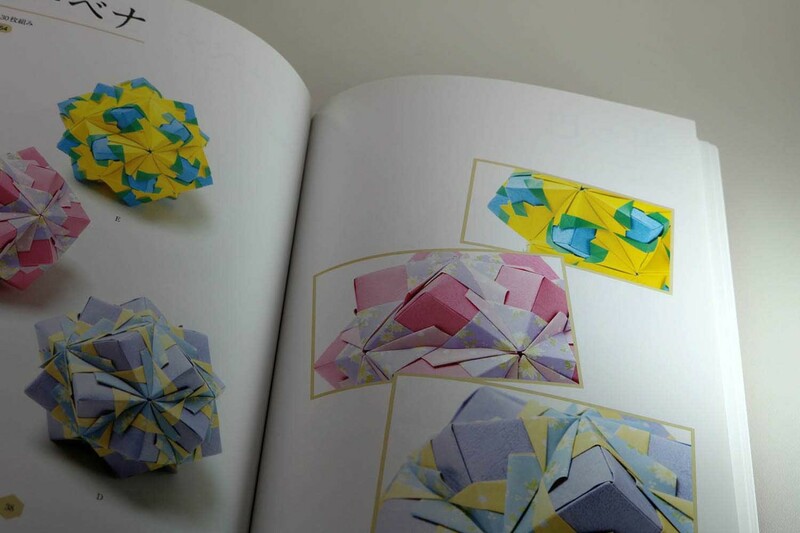 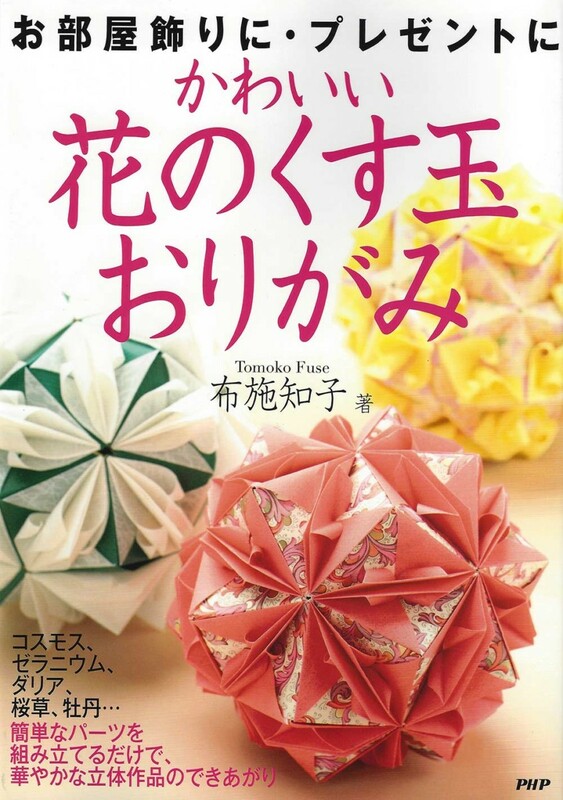 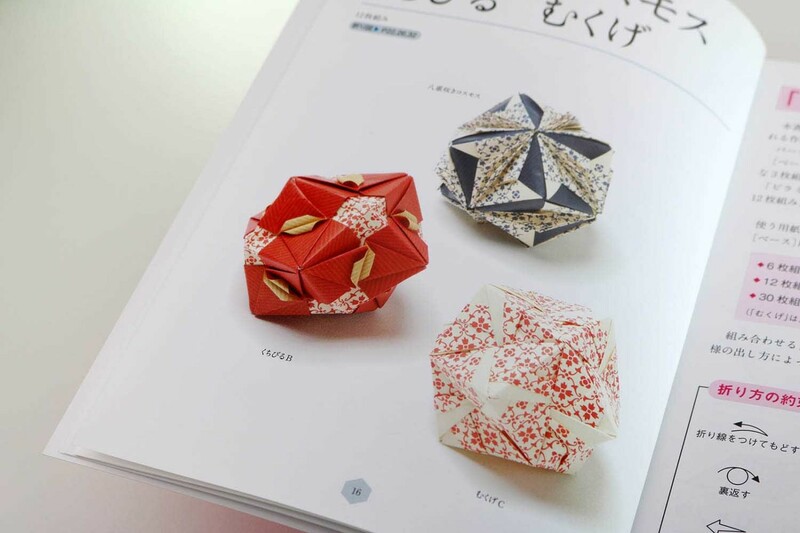 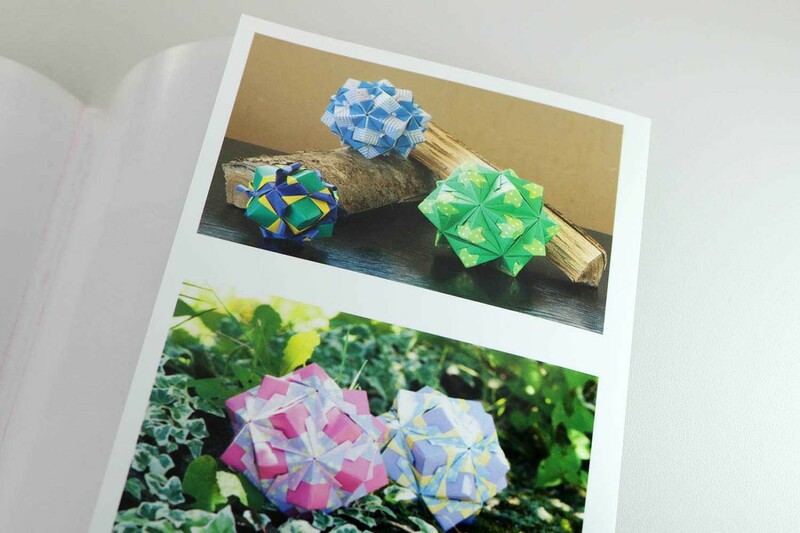 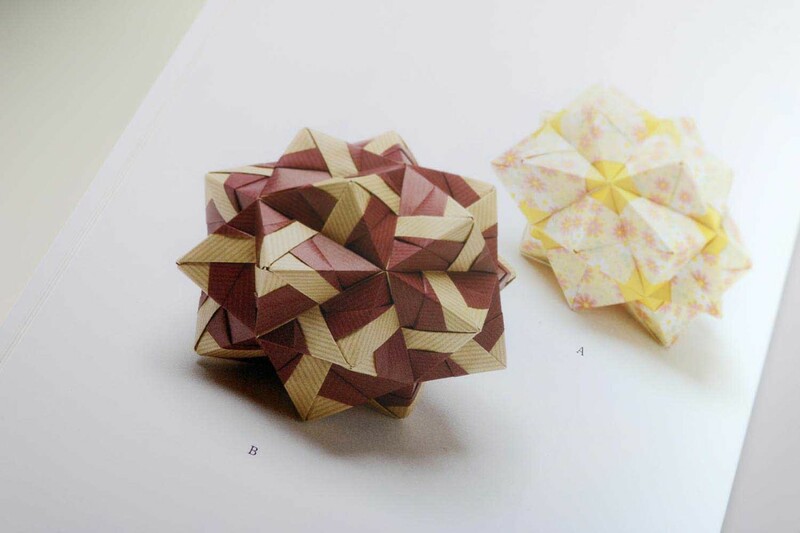 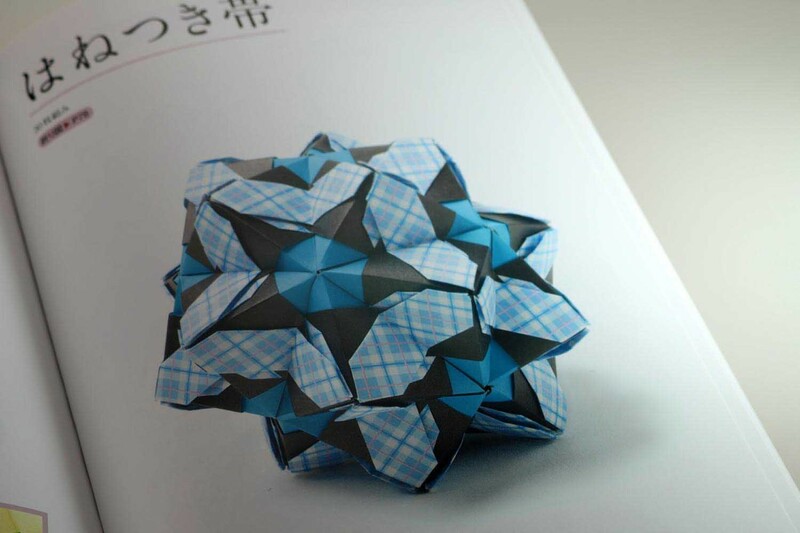 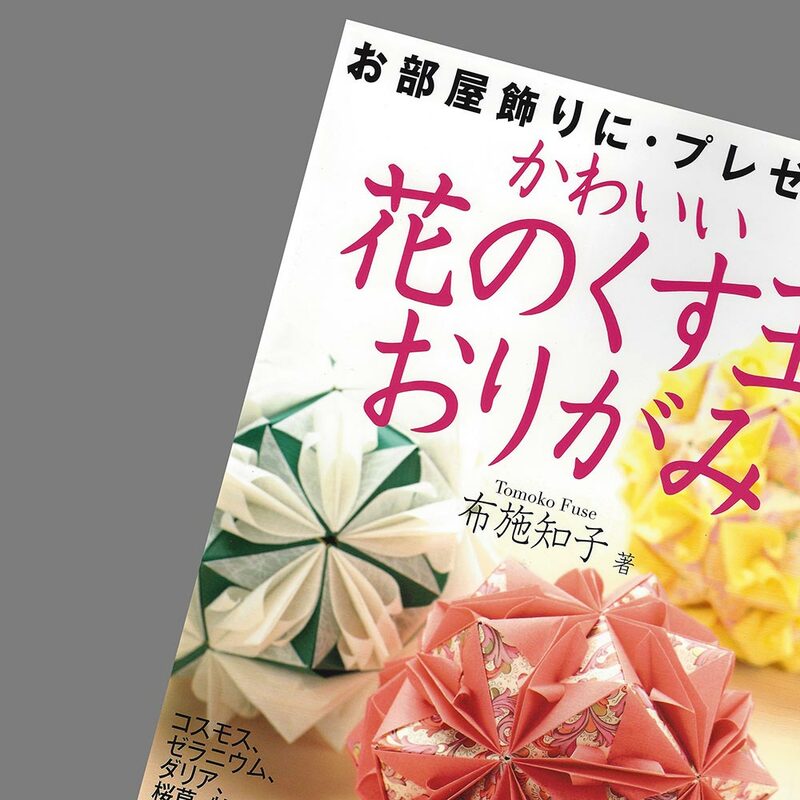 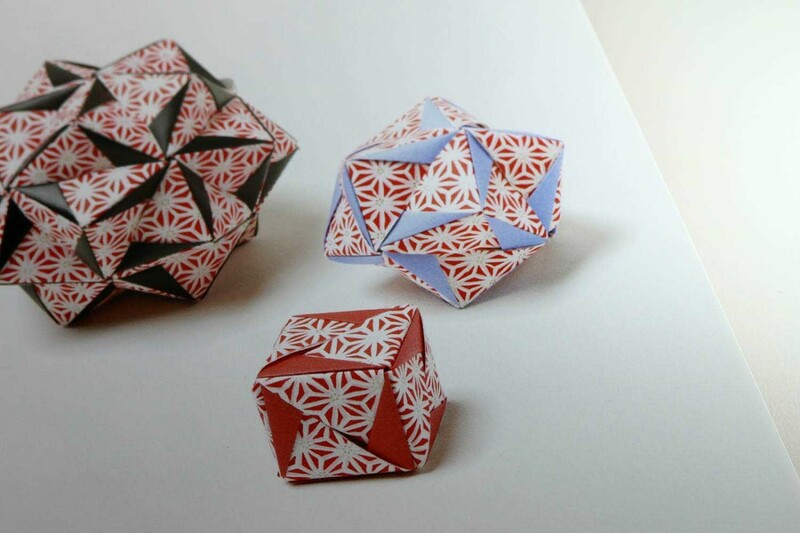 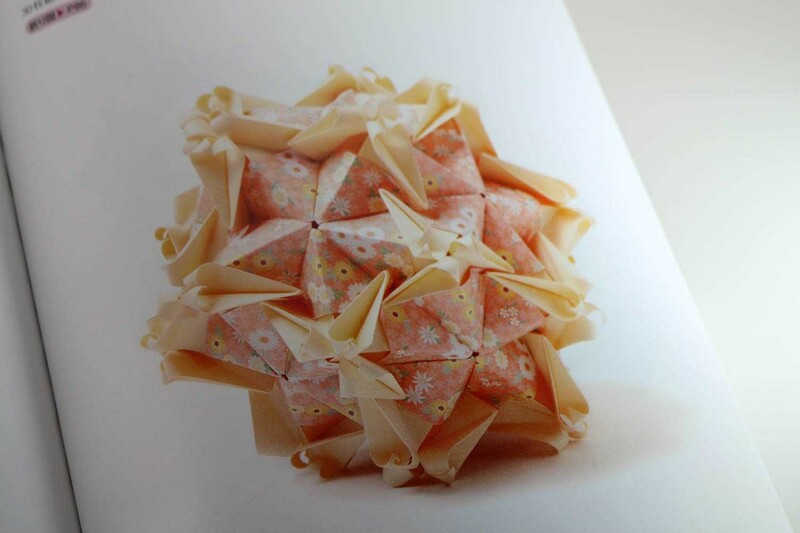 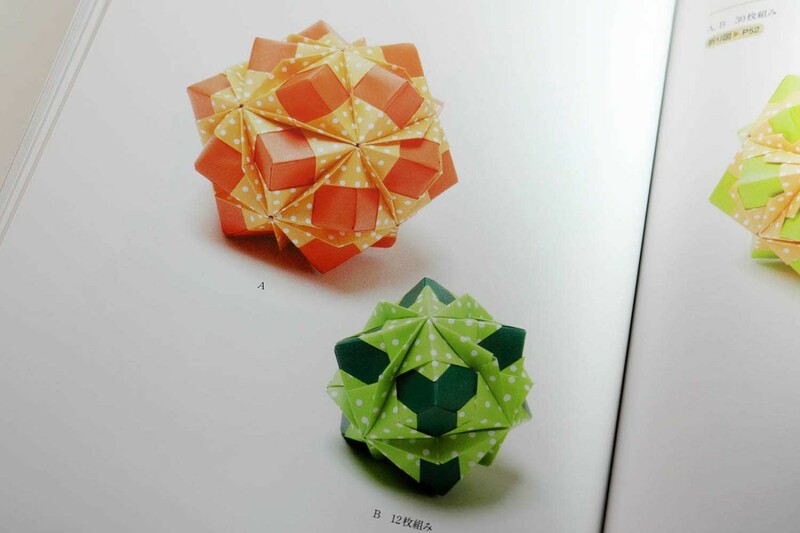 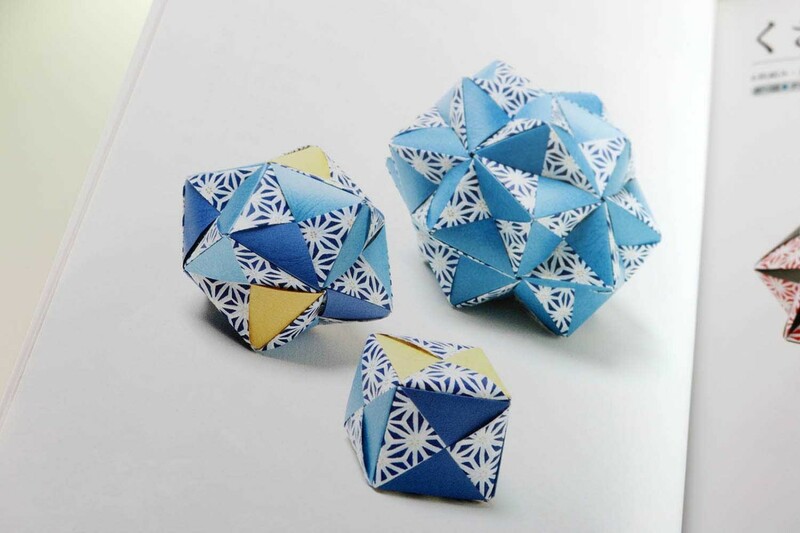 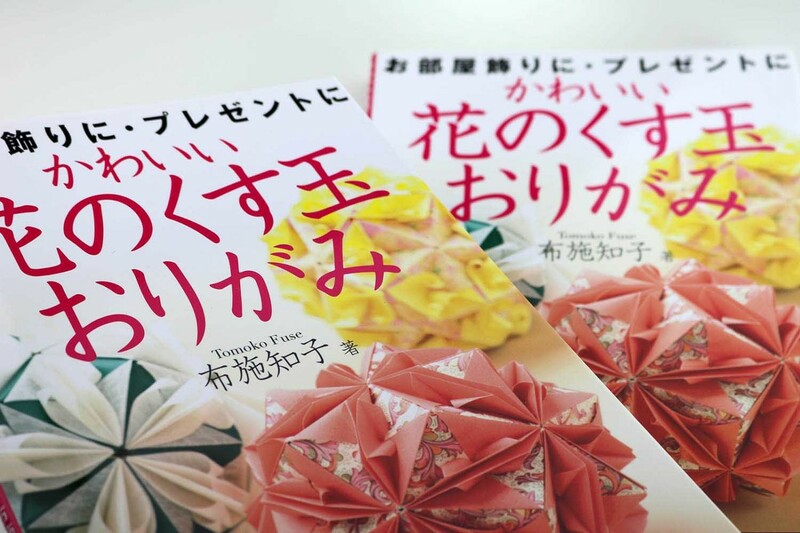 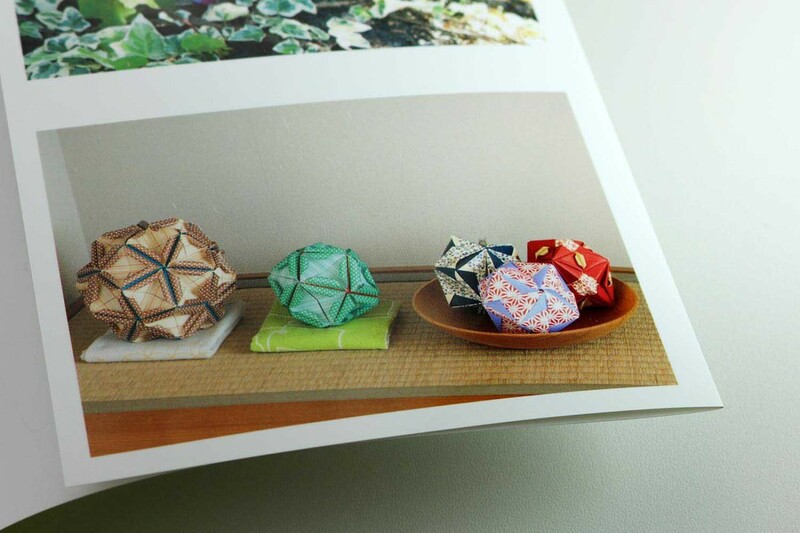 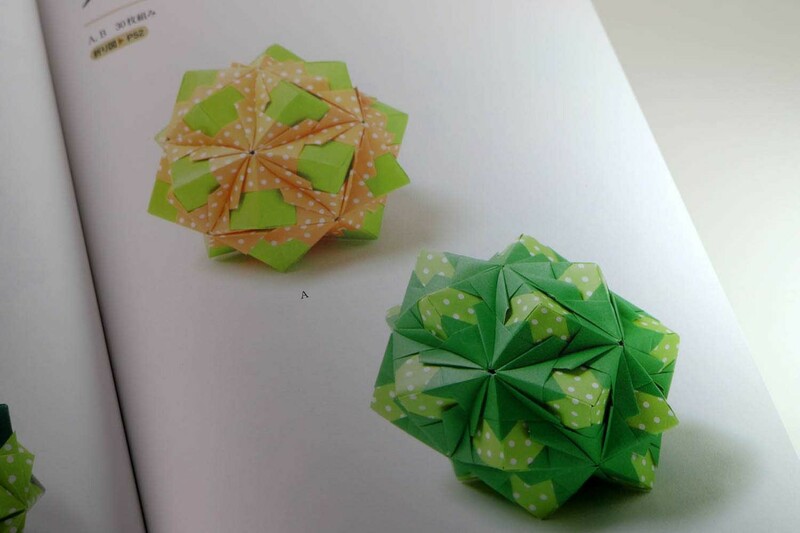 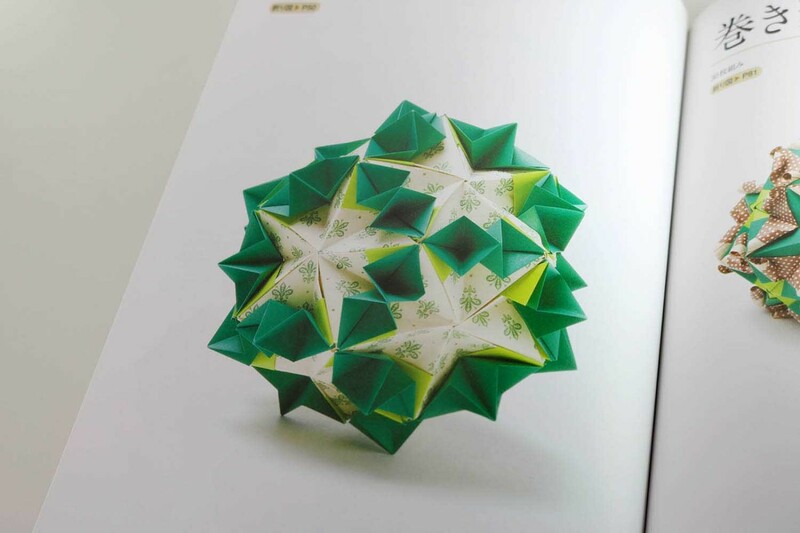 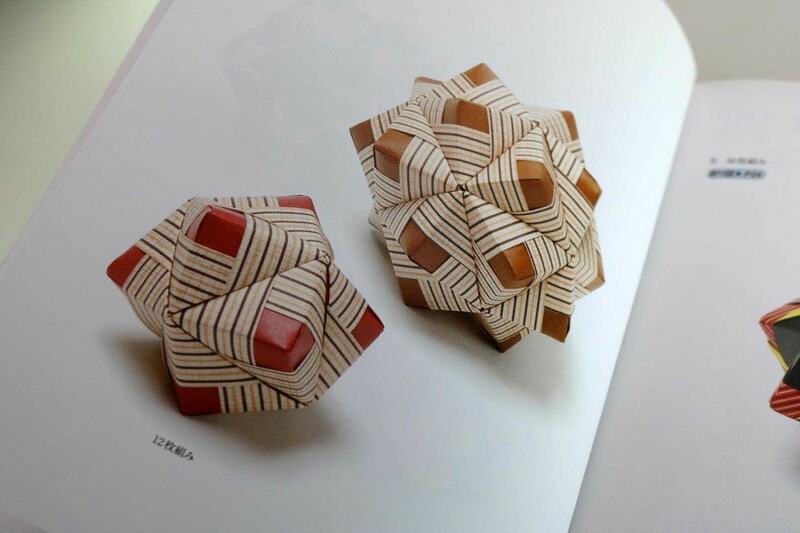 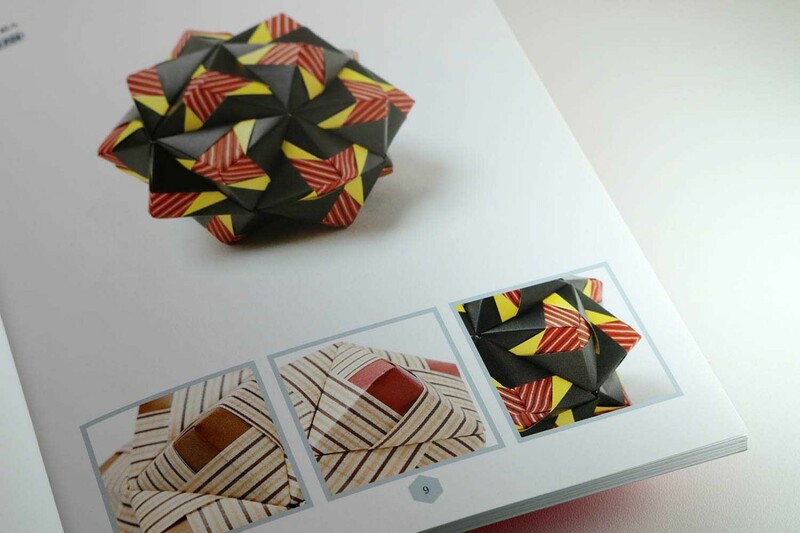 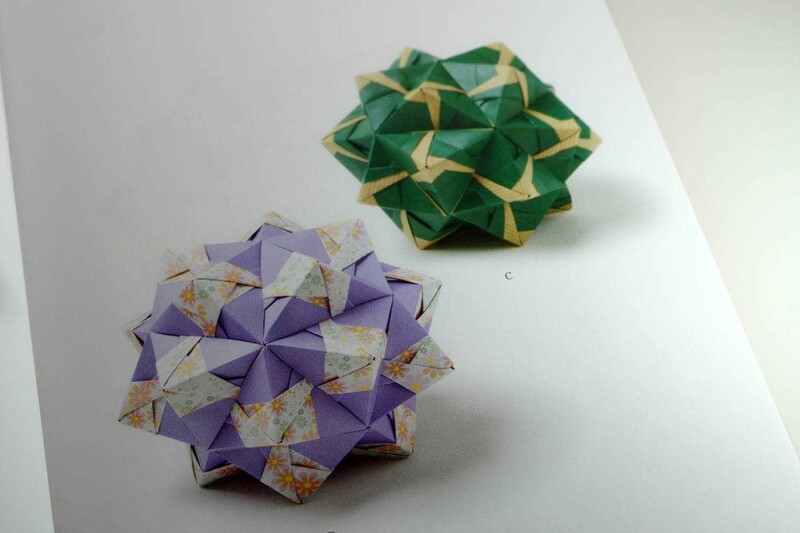 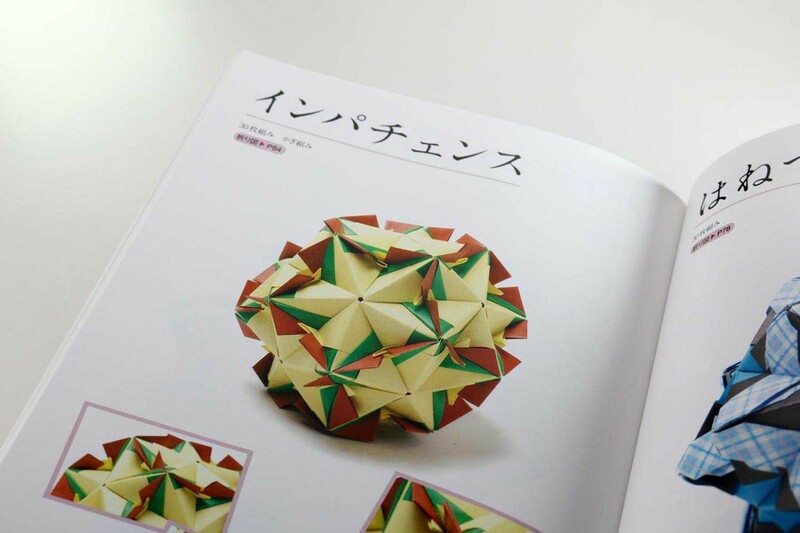 The individual modules, all of which are formed by a half-square, are very easy to fold. 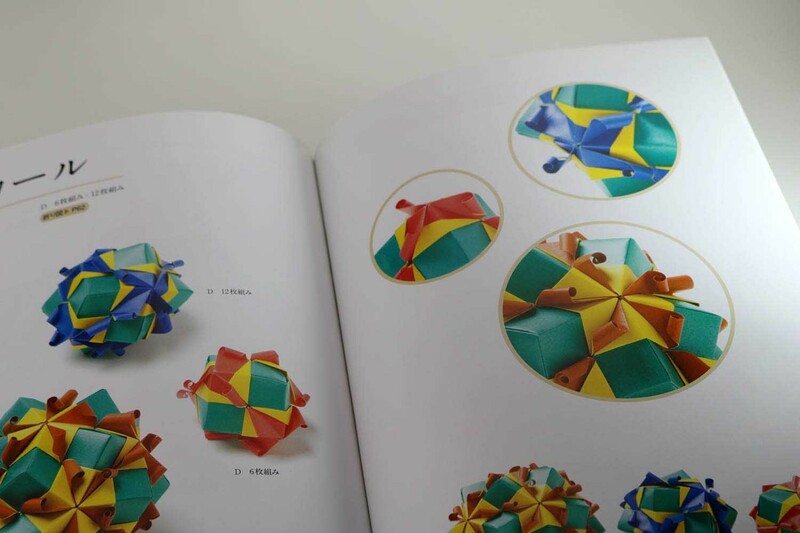 Often a second element is integrated into the basic module for decoration – thus creating an enormous variety of shapes. 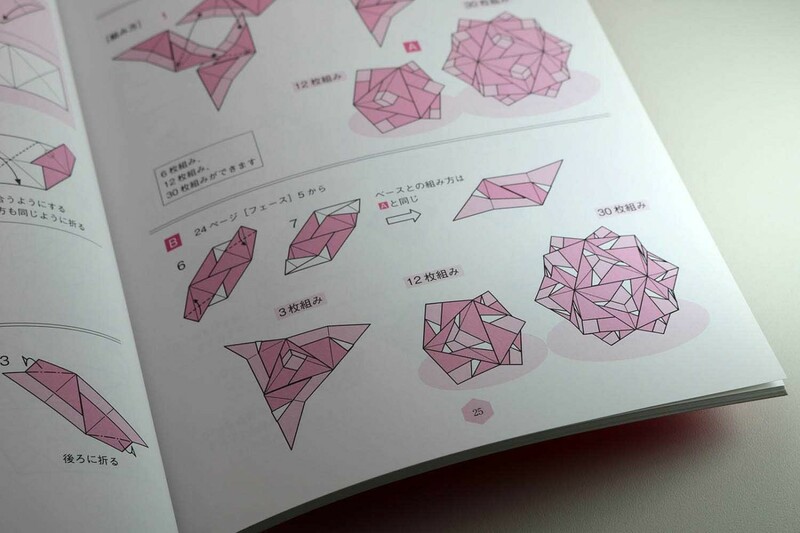 The assembling of the individual modules is very clearly explained on the basis of diagrams, but requires a little patience and concentration. 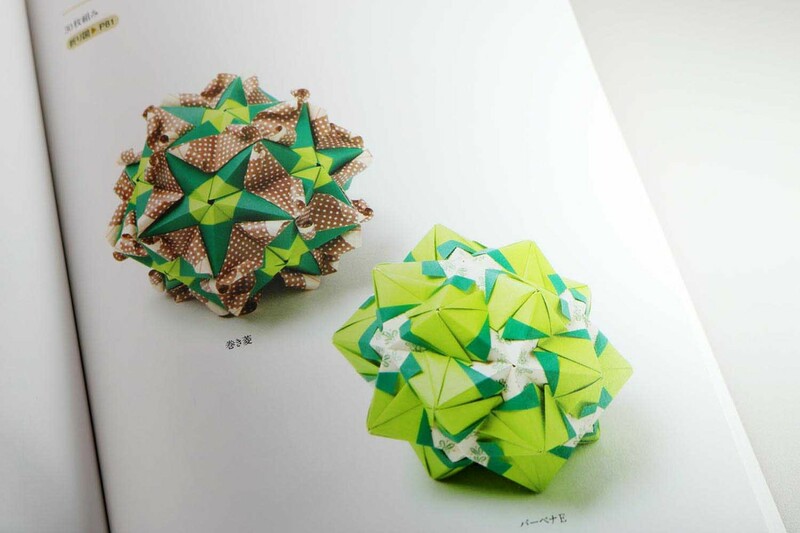 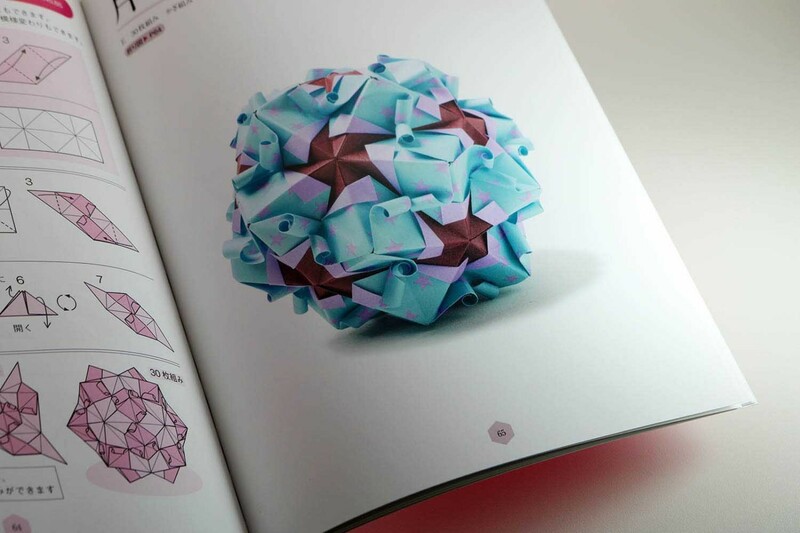 For a large ball you need 30 modules, for a small ball 12 modules and for a cube 6 modules. 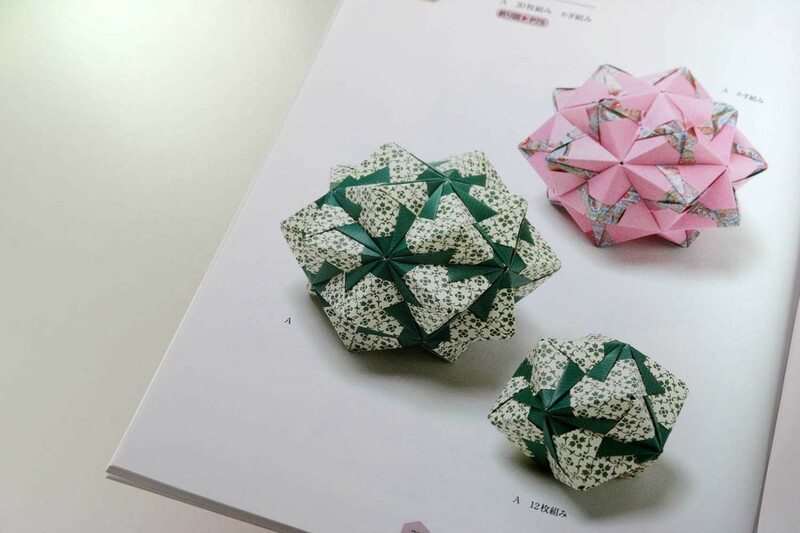 The module is identical in each case.